A warm welcome awaits you in the colourful and mysterious Pendle villages. Whether you're looking to wind down, or just get away from the hustle and bustle then Malkin Tower Farm Holiday Cottages in Pendle is the right choice, at the right price. Our beautiful scenery is ideal for a serious hike up the Majestic Pendle Hill or a gentle stroll down to the local pub. There are many walks and cycle routs you can start from Malkin Tower or a short drive away. Click here for details. We are only 5 minutes away from Pendle Heritage Centre in Barrowford, here you can relax in the gardens, visit the museum or have a bite to eat in the café. 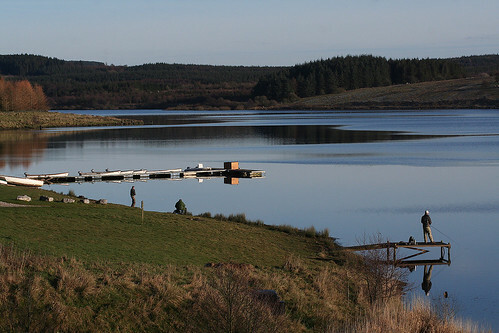 Wycoller Country Park is close by and famous for its Bronte connections and is the start of the The Bronte way. A short walk away is the Leeds and Liverpool Canal where it is possible to enjoy a stroll alongside the canal through beautiful countryside and watch the boats go by. The towpath is ideal for those who find walking difficult. In the village of Blacko there is the Cross Gaites Inn, which is said to have been a pub for 1000 years. Here you can relax in front of a real fire, enjoy one of the many special beers on offer and have a good meal. Blacko Tower dominates the sky line of Blacko, this folly was built by John Stansfield in 1899. From Blacko you can enjoy one of the many walks down at the Watermeetings. This will take you into the heart of Pendle and the villages of Roughlee, Barley, and Newchurch. Pony trekking, Clay pigeon shooting, Golf, Swimming at Wavelengths in Nelson, are all within a short distance of Malkin Tower Farm Holiday Cottages. The Forest of Bowland A.O.N.B. Pendle Hill and the villages nestling at its base fall within the Forest of Bowland Area of Outstanding Natural Beauty England's hidden gem. Dramatic uplands, wooded valleys and patchwork countryside. This part of the Forest of Bowland has everything you could wish for all within easy reach. Visit Newchurch in Pendle, where it is said that St Mary's Church is one of the oldest churches in Lancashire. Here you can see the eye of God in the tower and in the graveyard it is said, is the famous grave stone of Alice Nutter one of the Pendle Witches. Also in Newchurch is the renowned shop, Witches Galore, where thousands of visitors from all over the World come every year. Here you can buy souvenirs of Pendle or even take home a witch. Downham is just a 20 minute drive away. This beautiful village is the place were Born and Bred is filmed. However, it is ideal for those summer afternoon picnics along side the stream where the children can feed the many ducks that live here. Another place to visit is the village of Barley here you can relax along side of the stream and just watch the world go by or walk up Pendle Hill. Drinks, Ice Cream and food are available in the newly opened Cabin situated in the Car Park. This area is also the birth place of the Quaker movement when George Fox had a vision on Pendle Hill in 1640. Close are several local meeting places and Quaker reference sites. Malkin Tower Farm Holiday Cottages and the Magic of Pendle and The Forest of Bowland awaits you. Below are a few leaflets and sites to wet your appetite. A festival for the whole family, with food, drink, music, children's activities and much more!